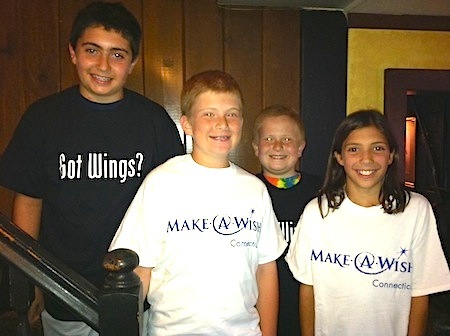 We are super excited to announce the first-ever J. Timothy’s Taverne Wings for Wishes chicken wing eating contest to benefit the CT Chapter of the Make-A-Wish Foundation! We’re on a Mission! We grant the wishes of children with life-threatening medical conditions to enrich the human experience with hope, strength and joy. There’s nothing like making a wish come true for a child facing a life-threatening medical condition. When we grant children their heartfelt wishes, we help them experience hope, strength and joy. Our goals for this event: to find the best/fastest wing eating team and grant the wish of child and for all involved to have a ton of fun! Team registration begins July 23rd. The playoffs start August 16th with the Final Championship on September 8th. Each team will have 5 members. And we’ve made the competition a bit unique so not every team member has to be the fastest wing eater around. Even kids can compete! Click on the links above (About, Schedule, Competition Details) for all of the details. 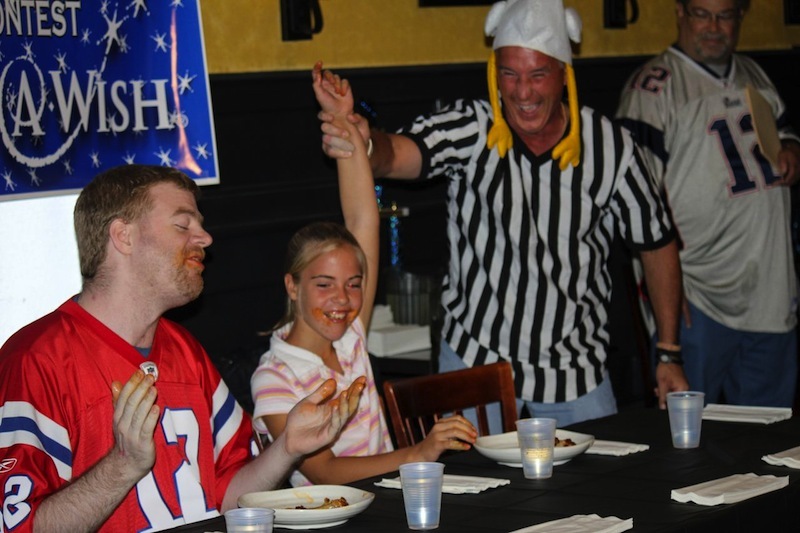 Get your wing eating Team together now to have fun while benefiting a great charity! These kids know what it’s all about. Please click below to share this with your friends to help spread the word! Thank you! I need a team to join…I can be reached at Brandon.fitzgerald@my.ccsu.edu….I can also eat a ton of wings and ate the deadly dozen at that place down the road!